StockRover is an attractive web 2.0 application that empowers investors and helps them make better investment decisions. The web application delivers in-depth financial data and analysis tools which is formatted in a clean and organized way. StockRover was founded in 2008 with the goal of simplifying how traders and investors research and make trade decisions. 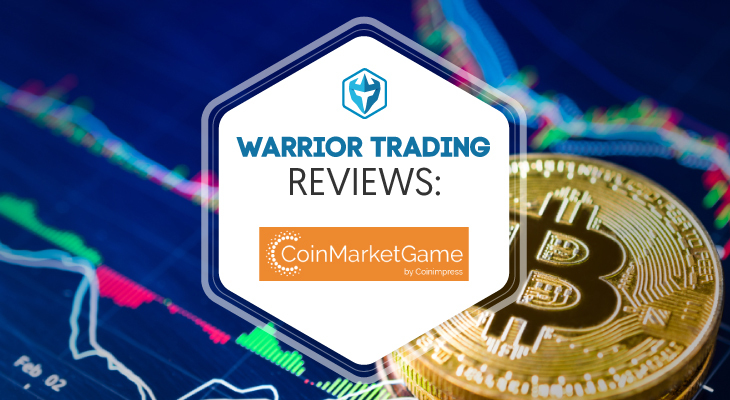 It all started when two brilliant software engineers – Howard Reisman and Andrew Martin – became interested in trading financial instruments. At the time, they did not find a suitable platform – web or mobile – that would enable them analyze the market and the performance of financial instruments. 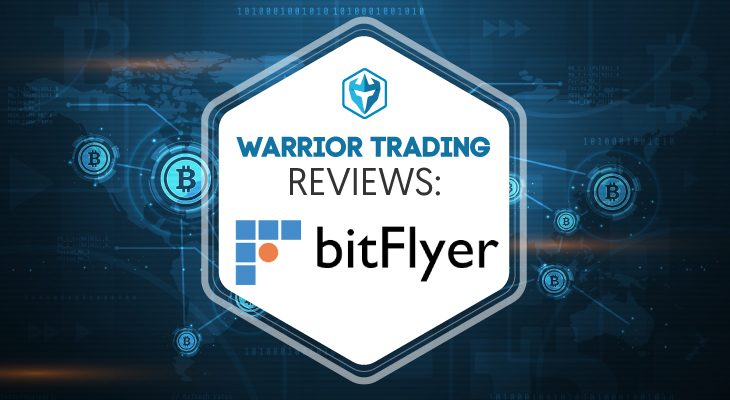 Thanks to their passion in software engineering, they came up with a brilliant idea of creating a platform that would simplify how traders and investors analyzed the market. They began by developing an integrated and comprehensive investment research platform which became Stock Rover LLC. Thanks to their vision, the new platform was able to meet investment needs of the community. 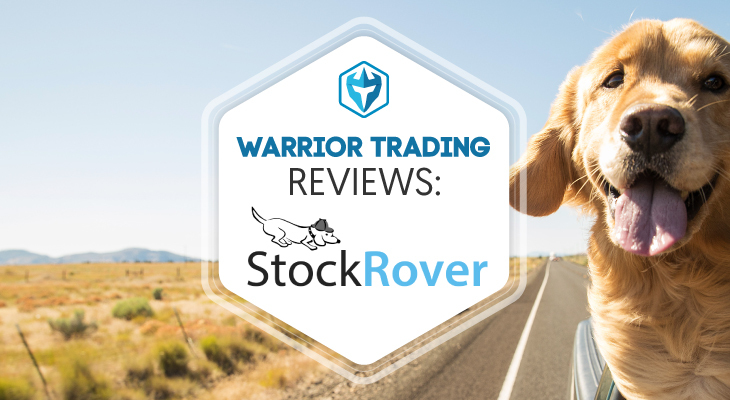 Signing up with StockRover is very easy. Click on “Free Sign Up” and enter the following details – username, password and email. These details will be used to create your StockRover profile. Once you are done with signing up, you will now have access as a Basic account holder. For the first 30 days, StockRover will provide personalized email support for free to help you familiarize yourself with the platform and its features. As a Basic account holder, you have the option of activating the 14 day free trial for the StockRover Premium subscription. It’s free and no payment is required to activate the trial. One thing you should note about StockRover is that it does not provide trading signals which means it’s all up to you to know when to enter and exit a trade. The company has also provided the ability of tapping into other brokerage accounts. 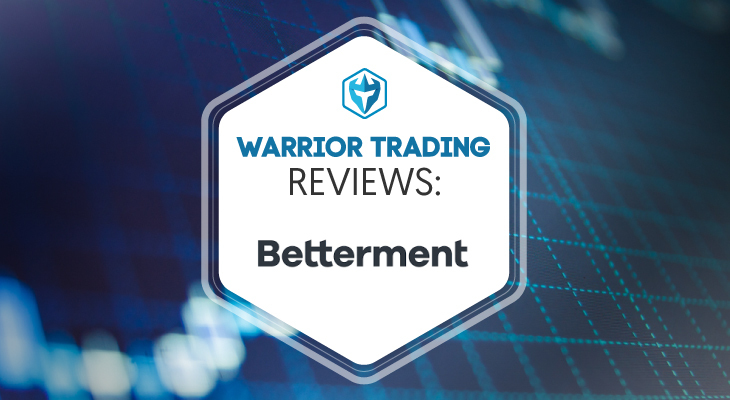 As a result, traders and investors are in a better position to find, compare and analyze financial instruments like stocks, ETFs and more. As a Basic user, you are in a position to leverage the power of StockRover but the features available are limited compared to Premium. For instance, the maximum number of customizable table views for Basic users is 15 while for Premium users is 30. When it comes to the number of saved screeners, Basic users can maintain 15 in their account while Premium users can maintain 30. For the maximum number of tickers that can be stored in a single portfolio or watch list, Basic users are allowed 100 while Premium users – 250. Basic users are allowed to maintain the following maximum number of watch lists and portfolios – 10 – in their account while Premium users can maintain 30. That is not all. The maximum number of table rows allowed in a given data set for Basic users is 100 while for Premium users it’s unlimited. When the data sets are filled with over 100 stocks, the pages are split into multiple pages. The Markets section provides high level information on the performance of different financial instruments. It is divided into the following sections – Markets, Quotes, News, Earnings calendar and Ideas. Under the Markets section, you have an overview of what is happening in different markets around the world from US to Europe and Asia. Sub-tabs you can browse under Markets include Market Summary, Stocks, ETFs, Bonds, Commodities and Daily Analyst ratings among others. The Quotes section has five sub-tabs namely Financials, News, Chart, Peers and Details. Using Microsoft as an example, under Details, investors and traders can learn about Microsoft’s Market Cap, the industry and sector it belongs. Other useful information includes price/earnings, earnings per share, volume, dividend yield, last reported quarter, analyst rating and average target price. You can also check out other sub-tabs including Performance, Description, Analyst Ratings and Analyst Estimates. Traders and investors have the option of checking through the company’s financials – Cash Flow, Income, Financial Health, Growth, Profitability and Balance Sheet. Under the News tab, you have access to the latest news about Microsoft. News feeds are available from Google, Yahoo and Benzinga. Supported brokerage firms include Charles Schwab, Fidelity Investments, T. Rowe Price, Vanguard-Investments, E*Trade, Merrill Lynch, Scottrade and TD Ameritrade. Basic is free but its limited in terms of features. 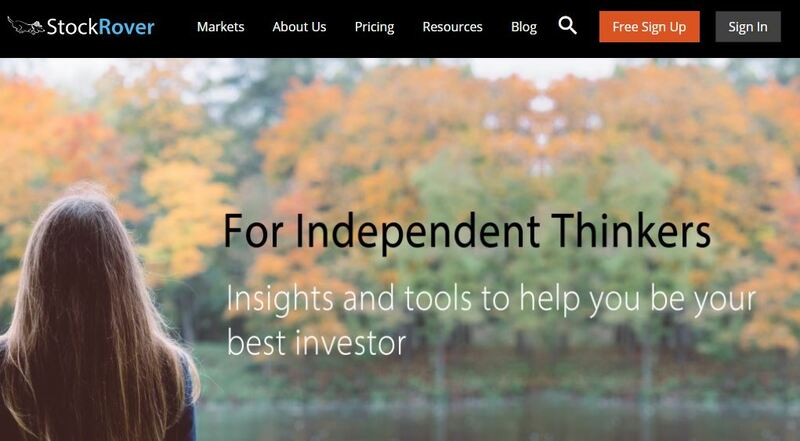 StockRover has provided an option for its users to try out the Premium package. The 14 day free trial is available at no cost. As a result of licensing restrictions, the trial plan limits members from exporting data sets to a CSV file. StockRover is an attractive web 2.0 application that empowers investors and helps them make better investment decisions. The web application delivers in-depth financial data and analysis tools which is formatted in a clean and organized way. Stock Rover is committed to improve and support portfolio planning and stock comparison for both professional and non professional investors. Despite all the above benefits, StockRover serves Basic account holders with non intrusive ads on both StockRover Markets and StockRover. 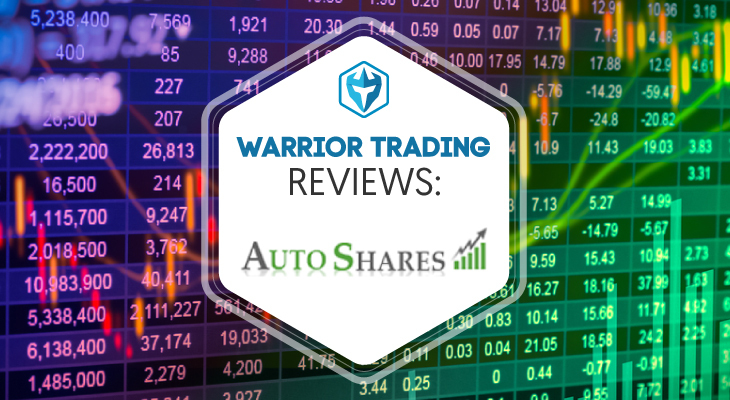 Although it offers a bunch of useful tools for stock comparison, its charting tool lacks vital features and function. All in all, StockRover is an ideal platform for professional and non professional investors looking for investment opportunities.